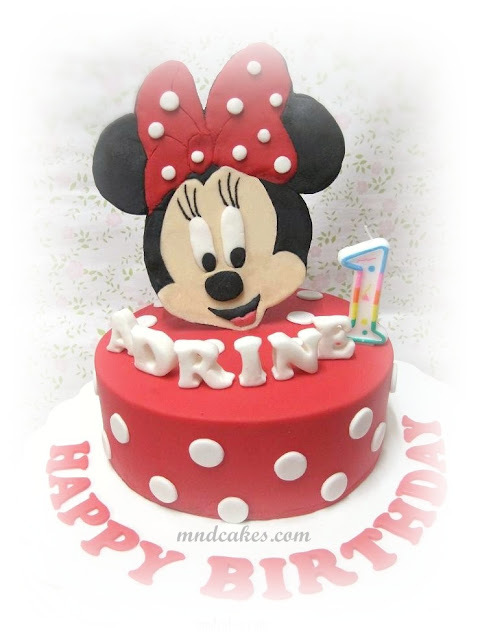 After the post of 3-Tiered Minnie Mouse Cake earlier, another lady commissioned us to make it in single tier and red in colour for her daughter Adrine's 1st birthday. So, here it is. 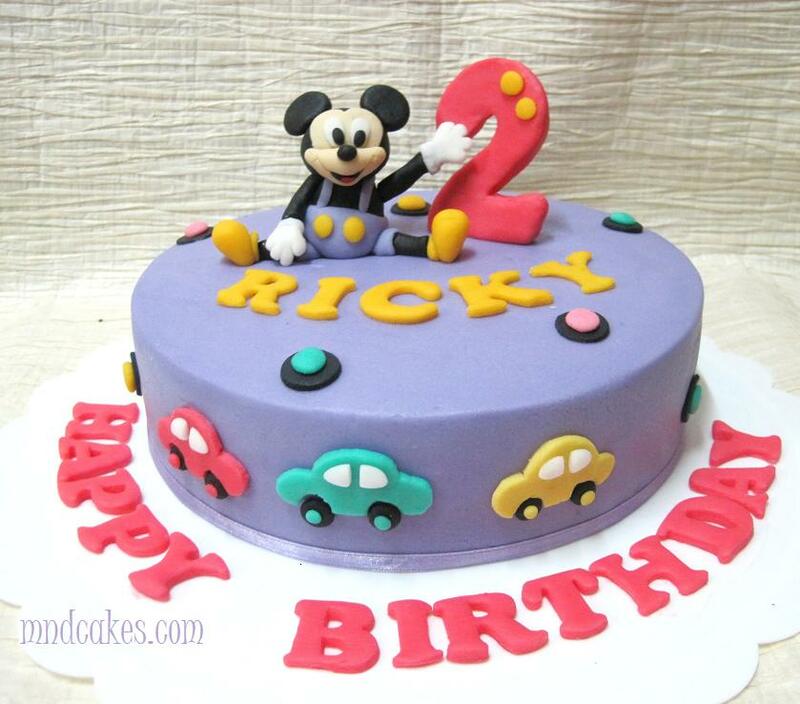 This is Mickey themed birthday cake for 2 years old Ricky. He loves cars and hence the side of the cake were decorated with 3 mini cars. Hope the little one would have loved it.